Thanks to the Pennsylvania Department of Environmental Protection’s continued support for conservation district educational projects, PACD is ready to open a new round of Nonpoint Source (NPS) Pollution Prevention Educational Mini-grants! Grants up to $2,000 are awarded to conservation districts for adult educational projects that offer strategies for reducing and preventing Nonpoint Source (NPS) Pollution. 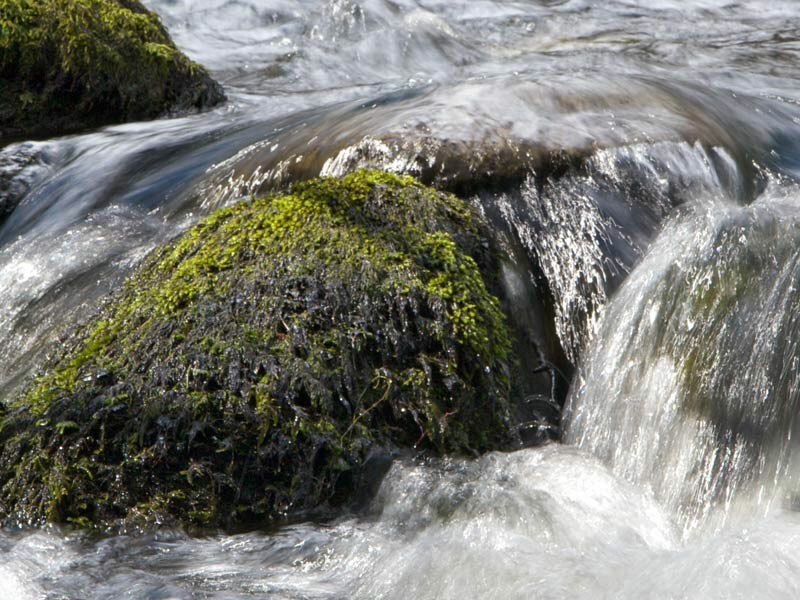 Projects should stimulate a local awareness of water quality issues, promote the theme “We All Live Downstream,” and encourage citizen participation in activities to improve water quality in local watersheds. The deadline for NPS mini-grant applications is April 26, 2019. Click here for the online application and more information. Questions should be directed to Shannon Wehinger. Financial and other support for the NPS Mini-grant Program is provided by the Pennsylvania Association of Conservation Districts, Inc. through a grant from the Pennsylvania Department of Environmental Protection under Section 319 of the Clean Water Act, administered by the U.S. Environmental Protection Agency. PCCD Chairman Earl Brown, Representative Martin Causer, Low Volume/Dirt & Gravel Roads Project Specialist Andrew Mickey, Watershed/Nutrient Management Technician Jared Dickerson, Senator Scarnati staff member Chuck Dillon, Commissioner Doug Morely, PACD Executive Director Brenda Shambaugh, Commissioner Susan Kefover, Communications and Outreach Advisor Emily Shosh, District Manager Jason Childs, and Resource Conservationist Glenn Dunn II. On March 21, 2019, Potter County Conservation District (PCCD) held a legislative luncheon in Ulysses, PA. PACD Executive Director Brenda Shambaugh attended the event. During the luncheon, legislators and county leaders received updates on district programs and services the district provides to county residents. Conservation district and DEP staff participate in interactive exercises during the technical plan review session. Photo taken by Linda Mackey. Close to 50 employees from Pennsylvania’s conservation districts and the Department of Environmental Protection (DEP) attended 102/105 Basic Technical Training March 19-21, 2019, in Boalsburg, PA. During the training, students received concentrated instruction to facilitate their work with the Chapter 102 and 105 programs. This year’s course also incorporated online prerequisite coursework through DEP’s new Clean Water Academy, an online training resource for conservation district and DEP staff. The series of Building for Tomorrow Regional Director Trainings on Sexual Harassment and Respect in the Workplace concluded in Ephrata, PA, on March 21. Five trainings were held across the state. Fifty-six people attended the trainings. The Building for Tomorrow Leadership Development program offered sessions on this topic to manager, staff, and director audiences in 2018-19, and is planning to present this topic again in the future. In the meantime, new managers are encouraged to attend the New Manager Training Bootcamp June 18-20, 2019, and all managers are encouraged to attend the Management Summit on September 4-5, 2019. Contact Matt Miller with questions about the Leadership Development Program at mmiller@pacd.org. Financial and other support for the Building for Tomorrow Leadership Development Program is provided through a grant from the Pennsylvania State Conservation Commission. Guidance for the Program is provided through the Pennsylvania Conservation Partnership’s Leadership Development Committee. Students exploring soil properties in Lebanon County. Photo provided by Stephanie Harmon. 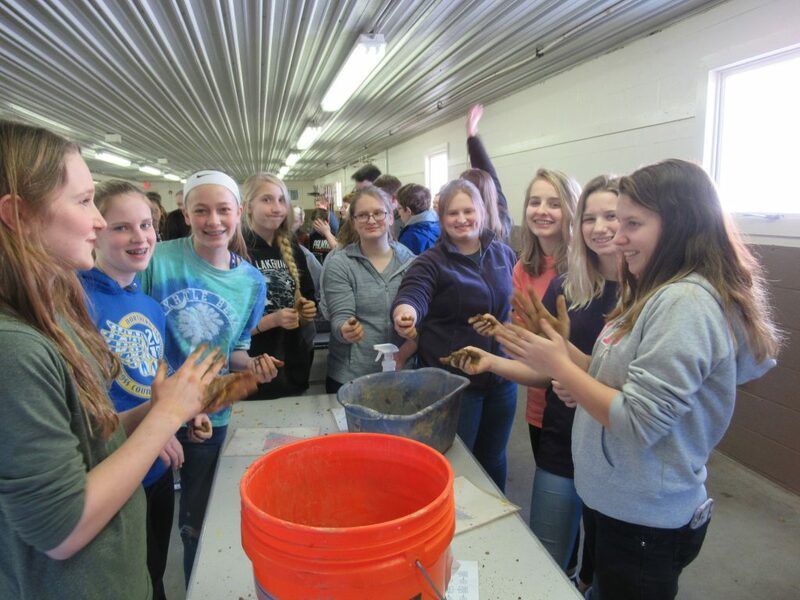 On March 12, 2019, a chilly day with hints of spring, ninety energetic middle and high school Envirothon students from Lebanon County school districts, including Cornwall-Lebanon, Eastern Lebanon County, Lebanon, Myerstown Enrichment, Northern Lebanon, and Palmyra got their hands dirty at Soils Training at the Lebanon Expo Center. The training was hosted by the Lebanon County Conservation District and coordinated by Watershed Specialist and Lebanon County Envirothon Coordinator, Stephanie Harmon. Special guest instructors included the following USDA Natural Resources Conservation Service staff: Resource Soil Scientist John Chibirka, Assistant State Conservationist Charlie Hanner, and Soil Conservationist Lindsey Bream. The training began with a presentation on the basics of soils components, understanding maps, surveys and landforms, land use, decision making, protection, and the importance of understanding soils. John used his whimsical personality to charm and excite students about the varied importances of soil characteristics and features. After the presentation, students rotated through two stations where they (literally) got their hands dirty by practicing the “Soil Texture by Feel” method and reading a soil textural triangle to determine the classification of two different soil samples. Additionally, students reviewed differences in soil colors and practiced how to read the color scientifically, using a “Munsell color book” (a book of color chips that follow the Munsell System of Color Notation) as used by soil scientists. Finally, students were provided an introduction and history of topographical maps and practiced reading and measuring contour lines and understanding the many different features of topographical maps. Before (left) and after pictures of installed BMPs to address resource concerns on a farm operation in the Maiden Creek Watershed. Photos submitted by Berks County Conservation District. Berks County Conservation District (BCCD) partnered with Stroud Water Research Center in January 2015 to administer their Farm Stewardship Program in Berks County. This program is designed to entice farmers to install at least a 35’ wide Forested Riparian Buffer on all streams on their operation. In turn they receive vouchers for $4,000 per acre of installed Forested Riparian Buffer to help cover the cost of approved Best Management Practices (BMPs) on their operation. Between 2015 and 2018, BCCD enrolled 24 sites in the Farm Stewardship program, of which 22 were farming operations. In three years of the Farm Stewardship Program in Berks County, a total of 105 acres of Forested Riparian Buffers were installed. resulting in over 57,000 feet of streambank protection covering over 33,000 feet of stream, and planting over 8,000 trees and shrubs along streams. Through these cooperators, BCCD had 263 BMPs installed including 44 Plans (Conservation Plans, Manure Management Plans, Nutrient Management Plans), 62 Forested-Riparian-Buffer-related BMPs, and an additional 157 BMPs on farm operations. One individual and 17 organizations, businesses, and local governments in Pennsylvania have been selected by the Department of Environmental Protection (DEP) to receive the prestigious 2019 Governor’s Award for Environmental Excellence. Congratulations to Westmoreland Conservation District for winning with their Stormwater basin retrofitting educational videos. The videos illustrate the function, design, assessment, retrofitting, and maintenance of stormwater basins. During the workshop held by the district, 382 individuals watched the video and provided feedback on their understanding of how retrofitting, inspection, and maintenance impact water quality. Click here to view the entire list of recipients. 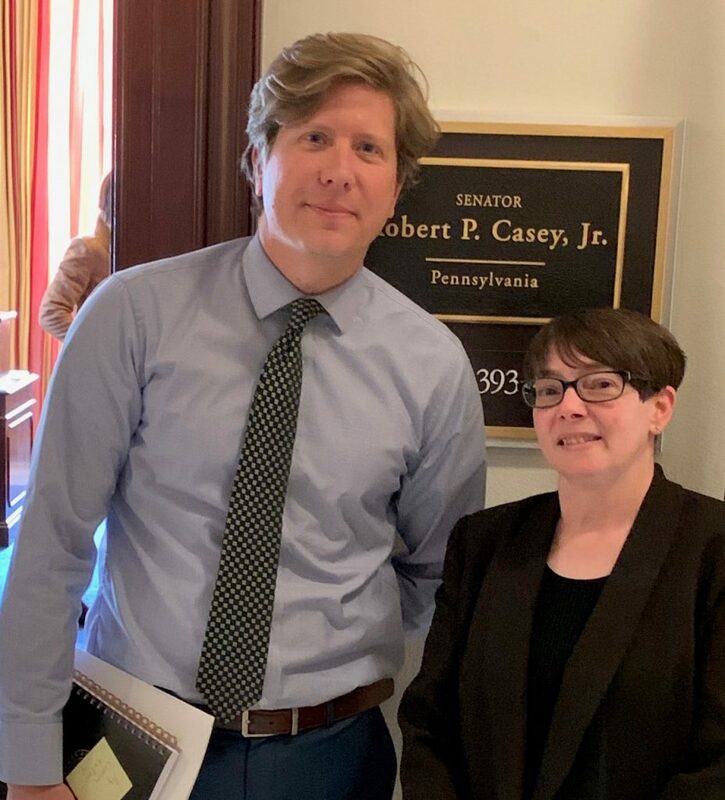 Adam Tarr, Legislative Assistant for Bob Casey poses with Kelly Stagen, PACD Secretary and North East Region Director. On Wednesday, March 13, conservation district officials from across the nation descended upon the nation’s capital as part of NACD’s 2019 Spring Fly-In. More than 150 district representatives from over 30 states took to Capitol Hill to educate their federal representatives about and advocate for voluntary, locally-led conservation. Kelly Stagen, PACD Secretary and North East Region Director, attended the fly-in. Do you know a staff person or director who has gone above and beyond the call of duty? A legislator who champions conservation legislation? Or a Pennsylvania resident or Pennsylvania-based organization you would like to recognize for their contributions in support of environmental recreation? If so, nominate them for a PACD award! The deadline for nominations is April 30, 2019. Click here for more information and the nomination forms. Contact Jann McNamara at jmcnamara@pacd.org or 717-238-7223 with any questions. 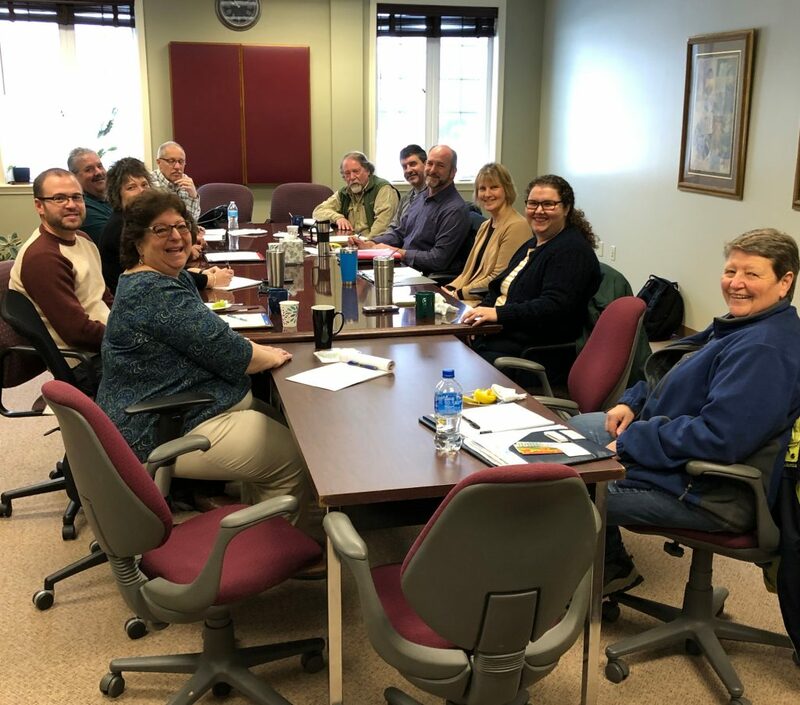 Ten conservation district managers from South Central PA met at the new PACD office on March 7, 2019, to discuss current issues. PACD Executive Director Brenda Shambaugh joined the discussion.